The Fiesta Friday Anniversary was a stunning success! It was an incredible 2-week event with a total of 226 amazing recipes being submitted. I found it extraordinary how you were able to come up with such exquisite creations. Partying for 2 weeks seemed to have helped those creative juices running, instead of depleting them. Party animals!! 😀 I want you to know that I find inspiration in each and every one of you. Thank you so much! These posts are the best of the best! Share them with your readers by posting the collages on your Facebook page, pinning on Pinterest or tweeting about them. You can also blog about them or reblog this post. You have my permission to reblog the post in its entirety. It’s not about me getting more views. It’s about spreading the word on these extraordinary recipes. Claypot Sardines in Vietnamese caramel Sauce from Sue @birgerbird. Hungarian Goulash and Red Cabbage From Tina @Mademoiselle Gourmande. Pork Chili Verde From Shari @Cook AZ I Do. Rustic Pizza from Marta @Plate du Jour. Chicken Mandi with Rice from Jhuls @The Not So Creative Cook. Lehsuni Gosht (Garlic Mutton) from Swayam @La` Petit Chef. 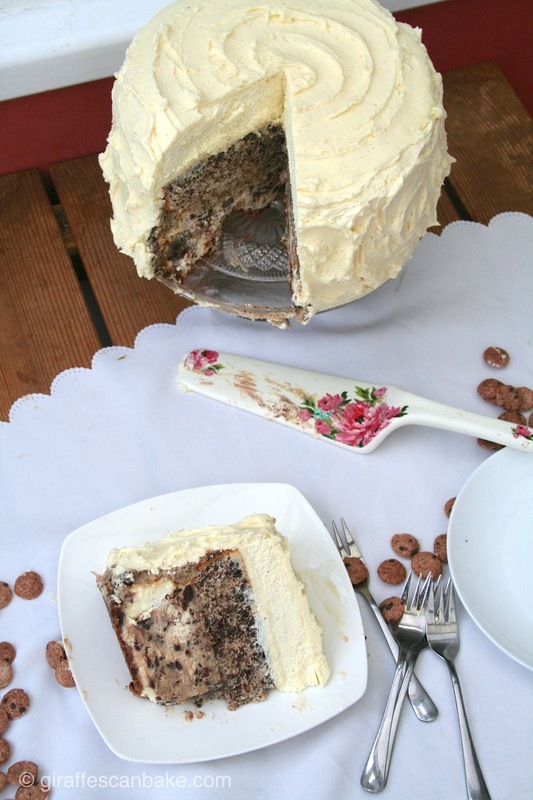 Chocolate Chip Cookie Ultimate Layer Cake from Michelle @Giraffes Can Bake. Chocolate Almond Pie from Sadia @Sweet and Savory Food. Bravo to all features! Thank you all for participating! I hope it was as much fun for you as it was for me! Looking forward to trying many of the dishes. I am going to regain the weight I lost. LOL. I know what you mean! It’s hard keeping a diet when you follow food blogs or have one 😀 Btw, my bean sprouts are growing! So cool! But I think I put in too many beans. It’s looking crowded. These PICTURES. Just stunning. Angie – you have created quite the party. I’m feeling lucky I’m surrounded by talented, creative and just all-around nice bloggers, just like you! It’s such a blessing! Oh my gosh – fabulous food, gorgeous photographs, such creativity. Nice to see these all laid out like this. Now if only there were more time in the day…. A feast of colours, flavours and amazing recipes! Glorious submissions!! So disappointed I missed it Angie!